Calling all across Verona and beyond! 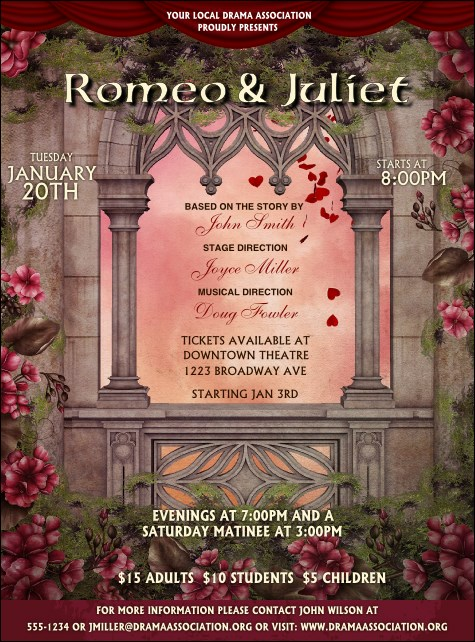 When you set out to perform this tragic romance, promote it with the Romeo and Juliet Flyer. Flowers adorn a gorgeous balcony, which highlights all of your details. Montagues and Capulets will appreciate the beauty in this elegant template.